Podcast Wizard is a complete solution for creating, publishing, and promoting your podcasts all within the ease of one application. Podcast Wizard was available as a giveaway on June 19, 2010! Podcast Wizard is an innovational product that turns creating podcasts into a surprisingly easy and pleasant task. It has never been easier to create, edit and publish podcasts. For your convenience, we split the process of creating a podcast into several steps and designed the program in the form of a New Podcast Wizard You can record voice, music or other sounds, mix audio, edit and process final tracks, create a RSS feed and publish a podcast on a server. Podcast Wizard has a built-in FTP client and completely complies with the RSS 2.0 and iTunes specifications. Besides, you can save a final podcast in the MP3, WAV, WMA and OGG formats. You want to create professional RSS feeds but you don’t want to learn complicated RSS technology? Well, then Feed Editor is a solution for you! You don’t need to be a computer science guru and learn Internet technologies. Our editor makes your work with RSS feeds extremely simple. All you need to know is what RSS feed you need. Rest is Feed Editor`s work. Skype Recorder is a surprisingly easy-to-use tool for recording Skype audio conversations. Skype Recorder can record Skype calls automatically. 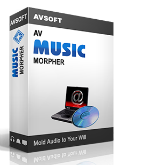 The software has a number of additional handy features such as an automatic record encoding into MP3/WMA/OGG/WAV format, all Skype versions support, conversations in either single or dual audio track recording, hidden mode work, a built-in audio player, a built-in FTP-client and an easy-going interface. News Screensaver allows you to always have the most recent news, weather forecasts and stock quotes on your computer screen. The screensaver supports all RSS, RDF and Atom formats. MBAM false positive? Guess you need some good system protection software, my Kaspersky and Super AntiSpyware Pro didn't falsely warn me. Can't speak for this software being offered, but one of the reviewers needs some better protection software! @3 Spellwight, I believe you are expecting too much of this "beginner's level" program aimed at getting people *started* into creating podcasts. This firm also has a more advanced product, titled "Podcast studio" (a 9 MByte download from their web site). PS about the trojan, wouldn't be surprised as I also got spyware that came with another program about three weeks again. While the programs that we get here are great and we can't complain sometimes some of these nasties sneek in. Hope that its less than morebut again can't compalin for the price we pay =0. I am running XP with 2 GB on board , MSI Netbook u100. The program installed fine registered fine but got to the stage of naming the podcast and then hung, tried time and time again no luck.\ PS about the trojan, wouldn't be surprised as I also got spyware that came with another program about three weeks again. While the programs that we get here are great and we can't complain sometimes some of these nasties sneek in. Hope that its less than morebut again can't compalin for the price we pay =0. Did not see how to save a podcast other than upload via FTP??? Anyone know a way? This is in no way a Podcast tool. A Podcast is a video/audio track that has a link to the track via the Apple iTunes store. The feed to a Podcast needs a very specific XML document created (not an RSS feed XML) with iTunes tags and data. This tool does not create the Podcast XML, but a generic RSS feed XML. I tried this program, it's very very basic. It allows me to create a new podcast, or add to an existing podcast (not mix the results together). The feature I like is: you can select from a large number of presets for file format, bandwidth and stereo/mono, and you can choose to use music mixed with the voice. Anything else (mixing two streams together, cutting out noise, normalising) requires a different program. I can do the same sort of things this program does without needing a $37.95 reason to do it, but the program does provide a simple one-stop shop if you can be bothered putting up with the results (i.e. you're really good at broadcast work, you won't be using this anyway) and you don't make many mistakes. If you use this program, do take the time to register it, and test it out for a few recordings. Also, great kudos for GAOTD for getting these programs. I'm impressed by some of the other programs. I just wish this one had a thumbs up from me, but I can't even give it a thumbs down either. Review #3 is spot-on. This program appears to be limited to recording only. No edit ability means no bumps, intro/outros, error editing, volume editing. Usless to an actual podcaster. Loaded fine in Vista x64 although there combining music with voice produced a truly crappy output. Very simplistic recording program no editing at all as others have pointed out. Might be useful for someone terrified of user options, but for me it was a waste. I do plenty of recording and this one just doesn't make the cut. Thanks GOTD. Appreciate the effort, but you can't win 'em all. This software first came out at GOTD, the one and only time as yet, on Oct 24th 2007 as v1.1.0. Lightweight, easy to use. Definitely not a professional app but if you've never done a podcast but want to and have no idea how to go about it, it's the perfect solution. I'm an ESL teacher and this is a perfect tool for class projects. I normally use Audacity and Filezilla for my own work, but this might even be a good recorder to use before editing. OK regarding my previous comment about requiring Administrator to run. What they've really done is set their configuration file "settings.ini" as a single global settings file for all users. My problem was it points to the install account's "My Documents", and my Limited User account does *not* have write permission into my Administrator's files! So, for *some* systems (where you can live with only one user being able to use the program) this can be handled by manually editing the ini file. I don't know if there are downstream problems, e.g., if the Limited User account runs this program and it tries to write to that ini file it will probably fail. Very bad form on this program's author(s)' part. They do not understand security, nor how their program should store its settings in Windows. OK regarding my previous comment about requiring Administrator to run. What they've really done is set their configuration file "settings.ini" as a single global settings file for all users. My problem was it points to the install account's "My Documents", and my Limited User account does *not* have write permission into my Administrator's files! So, for *some* systems (where you can live with only one user being able to use the program) this can be handled by manually editing the ini file. I don't know if there are downstream problems, e.g., if the Limited User account runs this program and it tries to write to that ini file it will probably fail. Very bad form on this program's author(s)' part. They do not understand security, nor how their program should store its settings in Windows. Program's author(s) have paid no attention to security. It seems this is required to run as Administrator. Very bad. and then the program dies. Program's author(s) have paid no attention to security. It seems this is required to run as Administrator. Very bad. When run on WinXPP SP3 in Limited User, it gives: Run-time error '52': Bad file name or number and then the program dies. Sounds like a good program, but I use Audacity and Feedburner with Blogger to create my podcasts. But, it took me a while to figure out how to publish my podcast in a way so people could subscribe via their ipod, Zune, or other podcatching device. So, this sounds like a good program for those who want to start podcasting. The program downloaded and actived smoothly on Win 2007 64 bit. For a straight voice podcast it worked well, although I could not figure out how to edit as the promo stated it could. When trying to add the music background was so loud it overpowered the voice. I spent 20 minutes testing this so there may be other elements I am missing but they are not obvious or intuitive. FTP worked well. The program does not allow you to returnt to the begining. I had to CANCEL and go back and launch the program every tme. Probably a good program in its first version but needs some serious upgrades to be very useful. Botom line: if you want a quick voice podcast that doesn't need editing this will work pretty well. The program downloaded and actived smoothly on Win 2007 64 bit. For a straight voice podcast it worked well, although I could not figure out how to edit as the promo stated it could. When trying to add the music background was so loud it overpowered the voice. I spent 20 minutes testing this so there may be other elements I am missing but they are not obvious or intuitive. FTP worked well. The program does not allow you to returnt to the begining. I had to CANCEL and go back and launch the program every tme. Probably a good program in its first version but needs some serious upgrades to be very useful. Botom line: if you want a quick voice podcast that doesn't need editing this will work pretty well. - what podcasting software you yourself use? - what free alternatives you would advize (if any)? - a more detailed review of today's Extralabs Podcast Wizard? - perhaps advize on some dedicated sites on the subject? Many thanks from the "dummies" among us (I should think). @spellwight #3 : I'm not a podcaster myself ànd haven't tried this software here myself. However... Would you share - what podcasting software you yourself use? - what free alternatives you would advize (if any)? - a more detailed review of today's Extralabs Podcast Wizard? - perhaps advize on some dedicated sites on the subject? Many thanks from the "dummies" among us (I should think). Greetz. Patrrick. every time I try to start it. Installed it on a Windows 7 computer and get: Can't initialize device (error code: 0) every time I try to start it. I use Audacity for my podcasts. The way in which I do them requires a lot of editing. This program appears too simple for my use. It might be fine for children but I'll stick to Audacity. Thank You ExtraLabs and Give Away Of The Day. The program installed without a hitch in a Windows XP Home 32bit OS. Upon opening you have the option to register the program. Registration code can be found in the Readme file or upon Giveaway of the day successfully activating the software, it advertises the registration key. Simply copy and paste into the field after clicking the register now key. Creating a podcast just doesn't get any easier via their step by step creation method used. Thumbs up very high for me. A quick, pain free download and registration (Vista). Not yet had the time to try it out but looking forward to doing so. Program was more simple than I expected. Dawnloaded and installed OK to Vista(32bits) Program was more simple than I expected. As an actual podcaster, I found this program useless. It says you can edit, but I couldn't. It might be nice for a simple voice recording but anything requiring mixing in music and bumpers, editing out mistakes and every other type of production is out of this program's ability. Too simplistic for actual podcast production. As an actual podcaster, I found this program useless. It says you can edit, but I couldn't. It might be nice for a simple voice recording but anything requiring mixing in music and bumpers, editing out mistakes and every other type of production is out of this program's ability. Too simplistic for actual podcast production. Nice tool. I've often thought of scripting something up similar. Maybe this app will get more people out there interested in producing alternative news content, who knows podcast today, video cast tomorrow, public access tv show next month?